This website is a tribute to the life and artwork of Western Massachusetts artist Robert Strong Woodward (1885 -1957). The 2019 Calendar is no longer available for sale at this time. Plan ahead to purchase the 2020 Calendar which will be available around Novemeber - December of this coming year. Proceeds from the sale of calendars go to the Buckland Historical Society. All profits from the sale of the calendar benefit the Buckland Historical Society and will help defray costs for the upkeep and repair of two 1775 buildings and their artifacts. 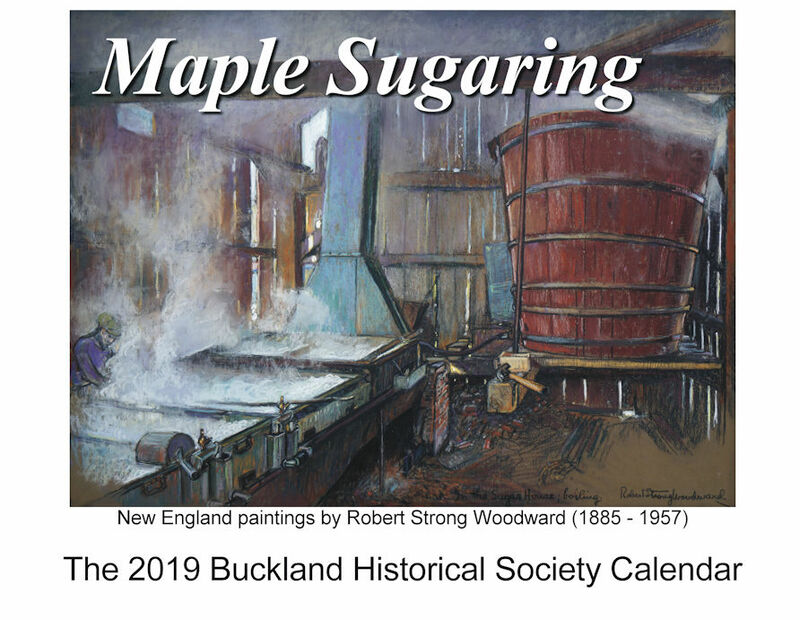 "Maple Sugaring" is the title of the 2019 Buckland Historical Society Calendar. This beautiful 12 page calendar features a different Robert Strong Woodward painting or chalk drawing for each month. Robert Strong Woodward was famous as the quintessential New England landscape artist. People love his painting to remind them of a simpler time in rural New England.